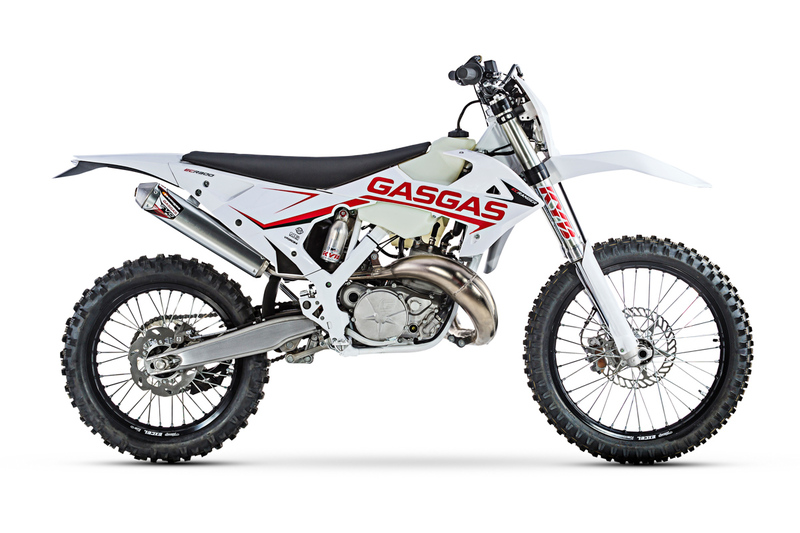 Gas Gas has unveiled its all-new ECRanger model as part of its 2019 line-up, revealing the recreational-based off-road bike will be available in 200c and 300cc capacities. The ECRanger is dubbed the ‘go anywhere’ bike and set to meet the demands of today’s riders, boasting a light, docile and above all easy to handle motorcycle. The new model has its own personality within the Gas Gas Enduro 2019 range, with a character focused on recreational use unlike its more competition focused stablemates. With differences in temperament, yet similarities in terms of the EC model, the ECRanger shares the same central spine frame and a host of components. The new ECRanger has been designed for having fun, and for that reason its power delivery has been softened, adopting a new thermodynamic performance and premiering a new cylinder and cylinder head. Changes that have helped to decompress the engine and get a more full and elastic delivery at low speed. With the frame and suspension, the design shows the deliberate aim for this model to become an enduro that satisfies the whole range of riders, thanks to its lower seat height and its excellent manoeuvrability. All these changes add up to a long list of new components in the frame and suspension of the new Gas Gas ECRanger. For example the new comfortable, padded seat cover or the removal of the traditional kick-start of other models, with starting now being taken care of by a new electric start system with a lead acid battery. In the suspensions department, Gas Gas maintains all its confidence in the renowned quality and reliability of Kayaba, incorporating a new front fork from the Japanese firm. As for the braking system, the new Gas Gas model uses new NG brand discs – 260mm front and 240mm rear – and also new brake callipers and pistons, a system developed exclusively by Braktec for this version. The aesthetics of the new ECRanger premieres a very different graphic design from the rest of the Gas Gas enduro range. A new and attractive image giving greater prominence to the white colour, present in both the frame and in the panels of this new Gas Gas. 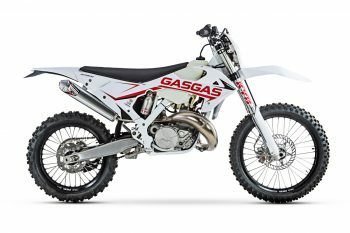 Pricing and availability in Australia is yet to be determined, however more information can found by visiting www.gasgasmotorcycles.com.au.